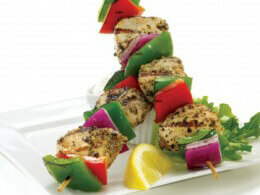 Having your meeting catered can make a world of difference for your clients. It shows that you planned ahead and considered their needs. Regardless if it’s light snacks and refreshments for an afternoon pick-me-up or a full meal, Select Sandwich is your one-stop-shop for everything catering. Having a catered breakfast for an early morning meeting gives a great impression. Perhaps your guests didn’t have a chance to grab something to eat before leaving their home, or maybe they’re early risers and a mid-morning snack hits the spot, whatever it is, you can rest assured it won’t go unnoticed. 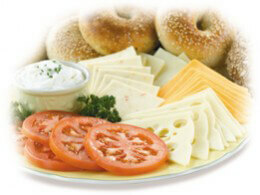 Select Sandwich offers many options for breakfast catering including continental breakfasts, dairy platters to low-fat yogurt parfaits and more, to satisfy all tastes and cravings. If you’re having a mid-day meeting or a lunch-and-learn, then sandwiches, wraps and panini platters are the perfect choice for your offsite meeting. Whether you’re hosting a company team building activity or having a meeting with potential clients, providing lunch is a gesture that can go a long way. 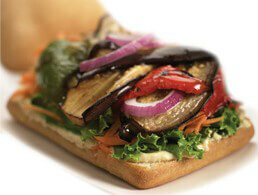 Soups and salads make an excellent side to any of our wraps, paninis and sandwiches. Our soups are made fresh each day. Our salads are made to order and the most popular are Garden salad, sunshine salad. 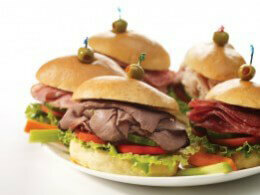 Select Sandwich is known for its wide variety of freshly made entrees. 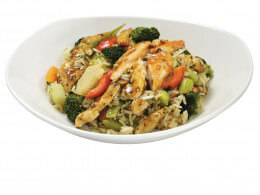 From lasagna to stir-fried marinated chicken or beef strips to one of our favourites, Chicken Soulvaki. There is an entrée to please any appetite. All entrées are served with fresh garden or Caesar salad. You can upgrade your complimentary salad to a Greek salad. Popular at lunch or dinner are the wide assortment of hors d’oeuvres which include cheese trays, premium smoked salmon platters, savoury mini tortilla pinwheels, veggies and dip, and more. Select Sandwich also carries a variety of desserts, fruits and snacks—perfect for those last minute or end-of-day meetings. Choose a beautiful fruit tray or a sinfully delicious tray of assorted desserts like brownies, squares, cookies and more! If you’re hosting an offsite meeting, whether it be with new clients, corporate investors or employees, catering is and always will be appreciated. Be sure to make a lasting impression with your guests.